A few weeks ago I watched a video featuring John Cleese giving a lecture on creativity, the main message I got from it was to never underestimate the importance of being allowed to play. I have learned the importance of this, when confronted by a deadline whether due to my own making or otherwise my mind becomes frozen like a Deer in headlights; taking time out to play allows me to engage my brain in another way and makes it easier to reach a solution to my original problem. 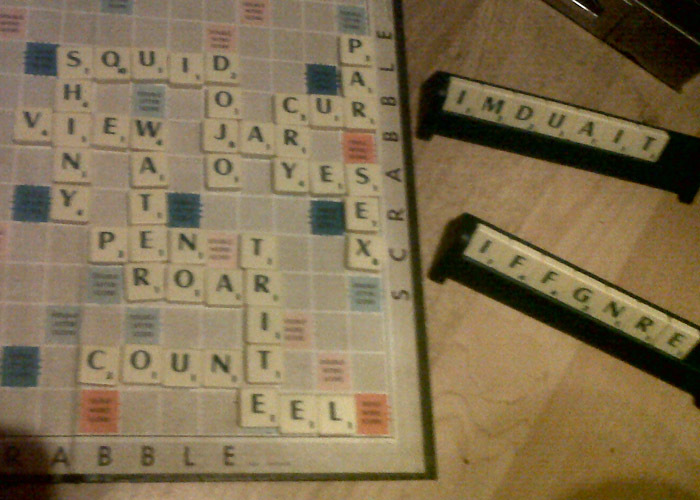 I've got a complete Scrabble set (made out of two different sets) however there is the problem that nobody wants to play Scrabble and when I can convince them to play they cheat by creating words that don't exist. There are other problems like the year old Labrador that circles the living room, knocking the table as he goes. 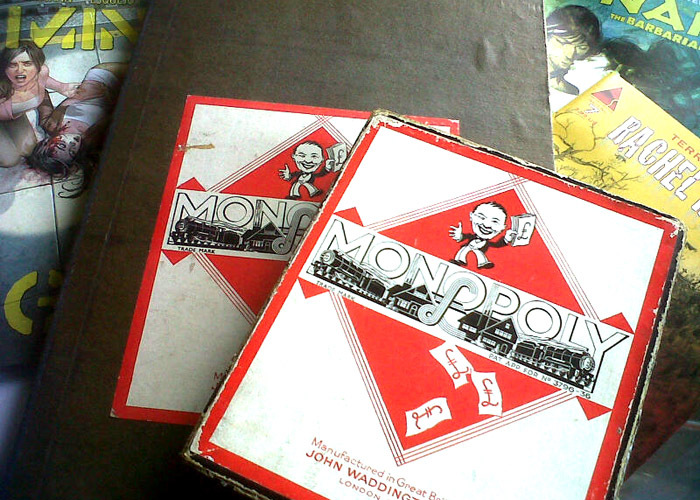 I also have a 75 year old game of Monopoly which I'm too afraid to play unless I break it or lose any of the pieces. The copies of Mind The Gap, Rachel Rising and Conan the Barbarian arrived on Wednesday but I haven't got around to reading them all, I'll have to wait another month for the first issue of Dancer and hopefully Creator Owned Heroes and Carbon Grey volume 2.